YOH provides both detached and centre based youth activities and was subject to both open and closed inspections. These inspections took place on 28 August and 16 September 2014 respectively. Four youth inspectors inspected this provision and observed 5 males and 6 members of staff onsite at the time of the open inspection. This provision was scored a Green rating. The youth inspectors noted that the young people felt that they came to make new friends, feel close to the community and to meet new people. They also felt their opinions were listened to, for instance the creation of a new football team. The youth inspectors listed many activities that are provided which young people enjoy including table tennis, PS4, hide and seek, Wii, ICT, sports days and football. The inspectors were impressed with the dance studio and believed that the number of pictures on display demonstrated the wide variety of activities on offer such as dancing and football. The youth inspectors felt that the youth workers were welcome and supportive as well as friendly, encouraging and respectful. Inspectors observed a large group of young people outside the club who had been in sessions that day. This showed that sessions are popular and that young people are free to make their own choices on hanging around after sessions. 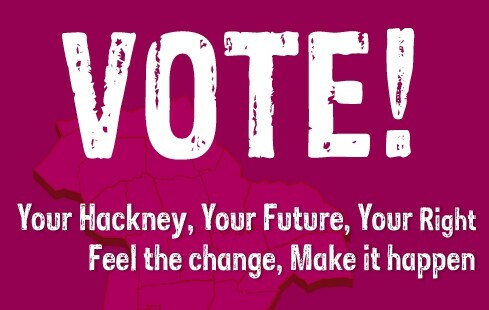 The new Parliament will be made up of 28 representatives from two Hackney constituencies, Hackney North and Hackney South, together with members from specialist forums (young people with disabilities, LGBT forums, Young Carers and Looked-after Children). thriving with acceptance and opportunity. them something to do rather than join gangs. me to see my potential and follow my dreams. combat the problems with popular culture). get a better education, we can have more fun. negative to positive as a community. taking time to read this.